Today we’re going to make the perennial hipster favorite: avocado toast. This Thriller knock-off is from the 1985 Indian action film Donga. It’s a Robin Hood tale about a guy who steals from the rich and gives to the poor. He is in love with a woman, but has vowed revenge upon her father. Also, he needs 50,000 rupees for his sister’s dowry. So there is a lot going on. I cannot imagine how the Thriller sequence fits into the narrative, but it’s pretty great just on it’s own. But back to avocado toast, the latest brunch craze. As you probably know, avocado toast is an open faced sandwich made of mashed avocado, citrus juice, salt and pepper on toasted bread. 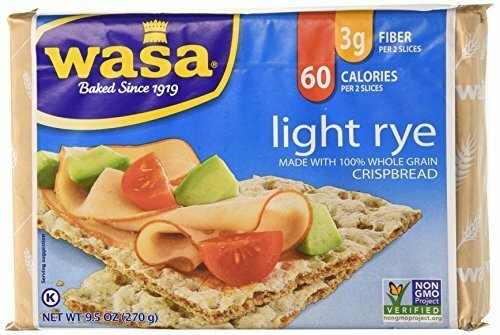 For our low carb version, I decided to go with Wasa Light Rye Crackers instead of toast. These crackers are my go to whenever I am dying for something bread-y. The crackers are topped with a mixture of mashed avocado and lemon juice. Throw a hard boiled egg and some seasoned salt on top and you are done. You’ve got a tasty piece of avocado toast with only 7g net carbs per slice. But now I must get back to Indian Thriller. It’s after midnight and something evil’s lurking in the dark. This recipe for low carb avocado toast is a low carb take on a hipster favorite. Perfect for weekend brunch or any time you are looking for a treat. 1. Mash avocado and combine with lemon juice. 2. Top Wasa Crackers with the avocado mixture. 3. Cut the hard boiled egg into 8 wedges. Top the crackers with egg slices. 4. Sprinkle Trader Joe’s seasoning on top, or just add salt and pepper. If you liked this recipe that used Trader Joe’s Everything But the Bagel Seasoning, then you might want to try my Everything Bagels or Everything Seed Crackers. This looks good. Are those crackers keto though? They are not Keto since they’ve got rye flour in them. Sorry!